This is a tree unit about a deciduous tree and the seasons. Please begin with the first article in the series for the whole unit. This lesson is to be done after the winter season begins (after December 21st.). Students will observe the adopted tree in the school yard to notice the changes that the tree has endured. Students usually think that the tree is dead in this season, so it is a perfect opportunity to teach them about dormancy. 1. 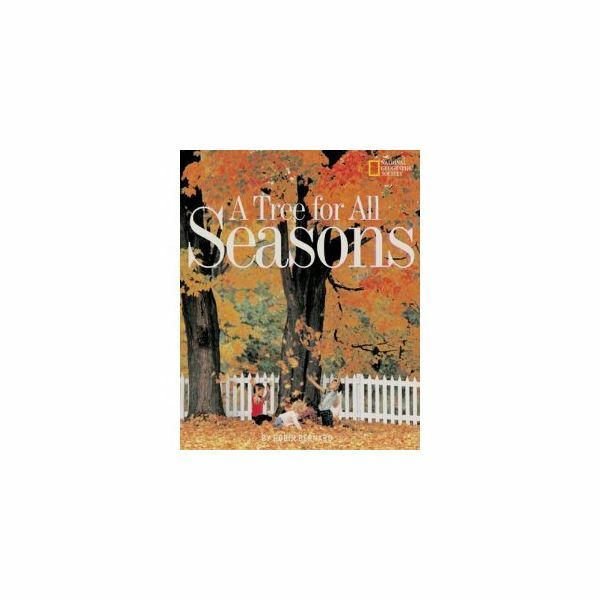 Read A Tree for All Seasons by Robin Bernard. Say to your students, "So far this school year, we have learned about a tree in the summer and fall seasons." 2. Elicit responses from the students about the adopted tree in those two prior seasons. 3. Ask, "What did the tree look like in summer and in fall? What clothing did we need in the summer and the in fall? What was the weather like in the summer and in the fall? Now that we are in the season of winter, it is cold outside." 4. Show a thermometer and compare the temperature now with the last two seasons. Notice that the temperature has been decreasing each season. 5. Say, "In the winter the tree has lost its leaves. Although the tree is bare, it is very much alive. The tree is in the dormant phase. Dormant means that the tree is still continuing to slowly grow roots, and take in water and nutrients, but very slowly. Think of it as the tree is resting for the winter." Note that the evergreen does not become dormant. 1. Students write the title "Winter" on their journal page. 2. Have students dress in outdoor winter clothing. Take them outside to observe the winter tree. 3. While outside, ask the students to observe what they see and feel. How is the weather? What clothing did they need to prepare for the weather? What does the tree look like now? 4. When returning inside, have students draw a picture of the tree and label their journal page. They should draw a picture of themselves and a picture depicting the weather for the day. 5. Students can also record the temperature on their journal page. You can also provide paper thermometers to the students to color in the mercury level on the thermometer to the correct degree. 1. Does the picture accurately depict the tree in winter? 2. Do the students and the clothing that they are wearing in the picture depict the weather in the scene? 3. Is the picture neat and correctly labeled? 4. By this time of the year, the students can write sentences independently about winter. Teaching seasons and trees covers a lot of science material. The reason we need trees, parts of a tree, seasons and even family trees in the unit as a home and school connection. Included as well is literacy and music connections.